1-2 PM: Arrive at the Hubbali airport/railway station and start your Karnataka tour package with a ride with the group to your hotel in Hospet (4 hrs/147 km). 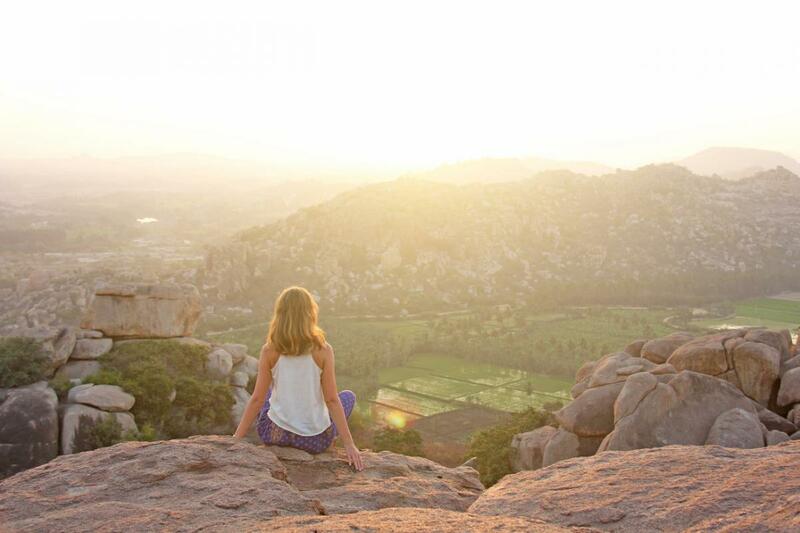 Relax the evening at your hotel or go for an optional stroll of hippie island at Hampi India. Early Morning, head for Sunrise trek at famous Monkey Temple/Coracle ride in Sanapur lake. After breakfast, we'll explore the places to visit in Hampi UNESCO World Heritage Temples of Hampi (Virupaksha Temple, Achuyutharaya Temple, Vijaya Vithala Temple, Stone Chariot, Badavalinga, Narasimha Temple). Later, we'll explore Hazare Ram, Queen's bath, Pushkarani and end the beautiful day in Hampi India. After breakfast, we will Head to Gokarna (8 hrs). Later in the evening enjoy the beautiful sunset views at Om beach or the Gokarna beach - enjoy the evening at leisure. Head out on an early morning trek to the Half Moon Beach Gokarna for Sunrise. The trek takes you through the forest with amazing cliffside views of the ocean. Come back to your guesthouse to have breakfast, then head out to visit Gokarna Temple. Later, explore Gokarna Beach and evening at leisure after exploring the places to visit in Gokarna.